Not sure you'll guess right when you buy your next gift from Lior Daniel? Now you can buy a Gift Certificate online and give the greatest gift of all-freedom of choice! It's easy. You can order a Gift Certificate right on the web. We do require the name and e-mail address of your recipient. After you place your order, the recipient will receive an email notification along with a Gift Certificate code. 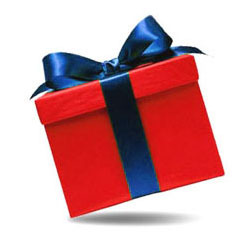 The recipient will immidiately be able to redeem the Gift Certificate quickly and effortlessly at www.liordaniel.com.